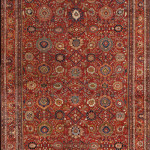 Requesting Photos for Rugs and Carpets Image Carpets have an exceptional collection of new designer, vintage and antique rugs. Our clients may inquire about requesting photos to determine the exact interest in selected rugs. We receive inquiries from clients, designers, dealers and collectors which ultimately determines the outcome of their purchase. For better results in requesting our unique fashionable rugs photos, we extend an invitation for you to visit our rug gallery here in the city. Hope to see you soon.